Pima County Democratic Party Chair Jo Holt will be speaking on “Electing Democrats and Looking forward to the General Election”. The Arizona primary is on August 28, 2018 so don’t forget to vote. “Jo was born in Houston, TX and grew up in a rural community south of Houston. She is a mom, a former caregiver, a lifelong Democrat, and had a rewarding career as a research scientist. Her career in scientific research brought her to Tucson, via Texas A&M University (Bachelor’s degree in Chemistry in 1975) and Colorado State University (PhD in Biochemistry in 1982). 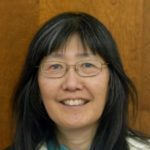 She spent about a decade conducting research in molecular biophysics at the UofA (1983-1992), and the following 15 years at Washington Univ. School of Medicine (St. Louis). She retired in 2006 in order to care for her husband, who passed away seven years ago from early-onset Alzheimer’s disease. Dr. Holt ran for the AZ State Senate in 2012 and 2014 in Legislative District 11, and served for a group of very dedicated PC’s as their LD11 District Chair.